An organization’s name can be very telling. Doctor’s Hospital at Renaissance, which includes a 506-bed hospital and five freestanding imaging centers, was founded in 1997 by a group of physicians. Fourteen years later, it is one of the largest physician-owned facilities in the country and, as the organization has undergone a major IT renaissance, the focus has remained on physicians. In this interview, CIO Les Clonch talks about how he was able to lead an aggressive rollout of EMR and CPOE while still being mindful of the many doctors who still haven’t fully embraced IT, and how choosing the right products and getting the right help have been instrumental in positioning his organization for growth. We gauged our status along HIMSS EMR Adoption Model, and we were probably as low as you could go. We did not have much of any clinical capability. Much of our efforts in terms of information flow—beyond order entry, beyond general financials, and beyond revenue cycle—were somewhat inefficient, and there was a lot of room for improvement. The other thing that I think was very effective in getting them to use the tool is the form factor of technology such as the iPad, where they could enter their orders or put in documentation or view results or collaborate with colleagues, while viewing the record at the same time. All of those things play to the adoption we’ve had. Most of the time, an IT plan is something we can do independently. But I think that because of the timeframe in which we needed to get it done—in addition to all the other challenges that I was working with at the time—the outside help was something that enabled us to get the plan done sooner. Epic had great features and functions and was very solid. But I think ultimately what it came down to was price. The organization really felt that in terms of the dollars that we would need to spend to acquire Epic versus Cerner, we couldn’t really justify, from a capability feature function point of view, the delta between the two vendors. Guerra: Let’s talk about your inpatient EMR. I know you engaged with Encore Health Resources to have some assistance with implementing it, but I don’t know what system you are on. Take me back to the beginning of this process of selecting a system and what you are on, if anything, and let’s talk about that a little bit. Clonch: Certainly. I arrived in Doctors Hospital in late 2007. The organization had a vision for information management which would be a tool that they could use to enhance care to collaborate more effectively with each other to enable them to be more competitive in the market here. They knew the flow of information was a vital to their ability to provide the very best care that drove them to create Doctor’s Hospital in the first place. And so when I came here, there were a lot of things to do. Putting in a strong leadership team was one of the first challenges that I had. But concurrent with that—and that’s one of the things that we do here is there’s a lot of concurrent thinking. There are very few sequential initiatives that happen. Everything is happening at the same time. Everything requires the same sense of emphasis. Everything is a priority. Some would say that when everything is a priority, nothing is. But in the case here, there were a lot of challenges in getting things started, simple because of where we were. But what we did was we went through and I worked with Computer Sciences Corporation to help develop an information systems plan. They did a great job, and that gave us kind of a framework of how we wanted to operate. It coalesced a lot of thinking among different stakeholders here into one uniform platform; one common thread that we could all use in looking at different tools out there that could help us achieve the vision the plan had laid out. Concurrent with that, we began looking our infrastructure. I was fortunate enough to come in and have a director of information systems who had a very strong technical background and who did a lot of good work in positioning the organization for where it needed to go. And so in that respect, I was able to accelerate things a little bit in terms of the selection process. We went through a full selection of looking at Cerner, Epic, Siemens, Meditech and McKesson. McKesson was the incumbent. We did not have a clinical documentation of record system from McKesson. We used their Paragon system for our revenue cycle and general financials. But we had strong departmental clinicals. The PACS system was from Fuji. Orchard is our lab system and radiology was also Paragon. Pharmacy was really an ambulatory pharmacy system. It wasn’t very strong, so we knew that when we decided to move to electronics system, we would be looking at the pharmacy tool from the clinical vendor we selected simply because of its tight integration with CPOE; that was a primary driver. So we went through a formal selection process which the team led, and we ultimately selected Cerner. And when we initially gauged CSC, we gauged our status along HIMSS EMR Adoption Model, and we were probably as low as you could go. We did not have much of any clinical capability. Much of our efforts in terms of information flow—beyond order entry, beyond general financials, and beyond revenue cycle—were somewhat inefficient, and there was a lot of room for improvement. So we quickly knew that we needed to get this done. We had opportunities to grow the organization. We had opportunities to work with companies that are looking for health care systems to help coordinate the care of their employees. But one of the key things they wanted was access and knowledge of the health of their employees and how to improve the health of their employees, and we didn’t really have the tools to help that. And so we decided that we wanted to do this, and like everything we do here, we’re very committed when we make the decision to do something. And so we quickly decided we needed to put in a system. We did pick Cerner, and moved forward with that. We laid out about a 14-month plan to implement that. We contracted with Cerner in mid-2009, around the July timeframe, and quickly put together a team that I’ve thoroughly enjoyed working. The team was led by a nurse who was a former assistant director of the OR. She had strong leadership skills, was very knowledgeable operationally, was very well respected, and had some experience actually implementing systems more as an analyst, but I took advantage of her leadership skills and the strong potential that she has, and she’s done a great job. Liz is one of the best I’ve ever had the opportunity to work with. She put together a team of strong clinicians, and we took off. Within 14 months, we went live with Cerner, including CPOE, on October of 2010. And then we brought up physician documentation in January of 2011. Adoption has been very good. We have about a 40 to 50 percent adoption rate with respect to CPOE and it’s growing every day. One of the key things to the growth that we’ve seen is the fact that doctors really wanted it. We’ve been very flexible with them in terms of some of the changes we can make within the tool itself to accommodate their specialty. With physician documentation, it’s a very flexible system to accommodate the unique ways that certain doctors like to dictate or like to note. We have some very IT savvy physicians who absolutely love it. The other thing that I think was very effective in getting them to use the tool is the form factor of technology such as the iPad, where they could enter their orders or put in documentation or view results or collaborate with colleagues, while viewing the record at the same time. All of those things play to the adoption we’ve had. And as I said, it’s astronomical in terms of being here. It’s six months into go-live, and I’ve got half of them that use the tool right now. I think we’ve kind of hit a tipping point where it’s more an issue of not trying to encourage them to use it; it’s more an issue of how fast can I modify the system within good solid change control, and a process that allows us to manage it and maintain it well. In terms of getting them the changes that they would like to see, they’re coming up with them one on their own. And that’s where all of us would like to be—where they’ve truly embraced it and see it as a very fundamental part of the way they practice, and the tools they need to provide effective care. So it’s been a very, very aggressive schedule. I don’t necessarily think this is the right pace and the right approach for every organization. At Doctor’s Hospital it was, but I’ve also seen organizations be very effective at rolling it out in a phased approach. In some cases, that can accelerate adoption because it gives people the time to digest what you’re offering them in more of a normal fashion, so to speak. But it’s been very good and very effective so far. Guerra: I just want to back up a little bit. You said you brought in CSC—did they help with the selection process? Clonch: They did not. That was something we did on our own. All I did was help them. They came in and one of the things I felt was important here was making sure that the organization had an independent perspective of where we were from an information management point of view. They could bring the tools and services to the table that would help accelerate the planning cycle. And I think consulting firms can be very effective at that. Most of the time, an IT plan is something we can do independently. But I think that because of the timeframe in which we needed to get it done—in addition to all the other challenges that I was working with at the time—the outside help was something that enabled us to get the plan done sooner. Encore came in and when we decided to do this, we knew we needed third party help. First, because the board wanted an independent view of how well the project was going. And that’s something that I’ve seen in other places that I’ve worked at as well. Second, we knew our team was young; most of them had not had the benefit of working or implementing an information system before, particularly a clinical tool. And so the outside experience that Encore brought to the table was invaluable in us being able to meet the date. Their skill set was nothing short of exceptional. The other piece is that I also have multiple concurrent programs and projects beyond the EMR initiatives that were going on, as we never stop growing. As the CIO, ultimately I’m accountable, and I wanted to make sure I had the right resources and I wanted to grow my people. I wanted to make sure that they, in turn, could sustain the improvements and sustain the benefits that drove us to do this in the first place by being shoulder to shoulder with the Encore experts and moving this thing forward. So those were the three primary reasons for bringing in a third party to help with implementation. Guerra: Now, you had worked with CSC. I’m wondering what was the reason why you didn’t bring them in for the implementation work and instead went with another consultancy—did they not specialize in that type of work? Clonch: No, we actually went through a competitive process of CSC and Encore. And so we knew that they had the capability and would do a great job as well, that was never an issue. It was just that when I went to the board, we discussed the options, and we felt that Encore, for this particular implementation, was a better fit for us. But I know that CSC would have done a very good job as well. It was purely just the fact that the organization decided Encore was a better fit. I agreed with them, and I felt like in hindsight, it was a great decision. Guerra: I like to just touch a little bit more on the selection process, and specifically, who the finalists were. You picked Cerner—did it come down to Epic versus Cerner? What took Epic out of the running? Clonch: One of the things I think was interesting in the dynamics is that it did come down to Epic and Cerner. We felt that Epic and Cerner had the most mature tools at the time. From a physician point of view—and I think this is one of the key takeaways that I can offer for those who are going through this process—it was truly physician driven. In terms of putting in governance, I created a physician adviser committee, and that committee was primarily responsible for planning and being a resource to help us plan out IT, to lay out our clinical priorities, and to evaluate the systems that were out there. And so when we looked at Epic and we looked at Cerner, both of them had excellent ambulatory and excellent inpatient capabilities. One of the primary drivers in that comment is the fact that they both could allow physicians to have a very seamless experience in the manner of which their systems were architected. The ambulatory view with Cerner is very consistent with the inpatient view Cerner. So physicians would have very little learning curve to learn one system or the other. That was very valuable to the doctors. Epic is exactly the same way. And so when we looked at them, Epic had great features and functions and was very solid. But I think ultimately what it came down to was price. The organization really felt that in terms of the dollars that we would need to spend to acquire Epic versus Cerner, we couldn’t really justify, from a capability feature function point of view, the delta between the two vendors. Guerra: We don’t have to go into any more detail than you’re comfortable with, but did you find that Cerner was more amenable to negotiation? Epic is known for not negotiating on prices. Is that accurate in your experience? Clonch: Yes, that was a key consideration as well. This organization negotiates many things, as I know as many of our colleagues do out there. And Cerner was very amenable to negotiating both the terms of payment and the terms of when things were done. We had a very accelerated schedule. 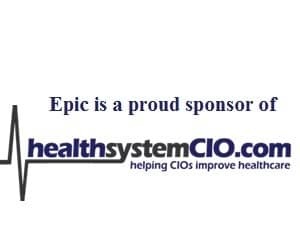 Epic stepped up to the plate and was very comfortable with that schedule as well, but ultimately, on the points around price and the points around terms and conditions, Cerner was more flexible, and I think that’s what tipped the decision in their favor.